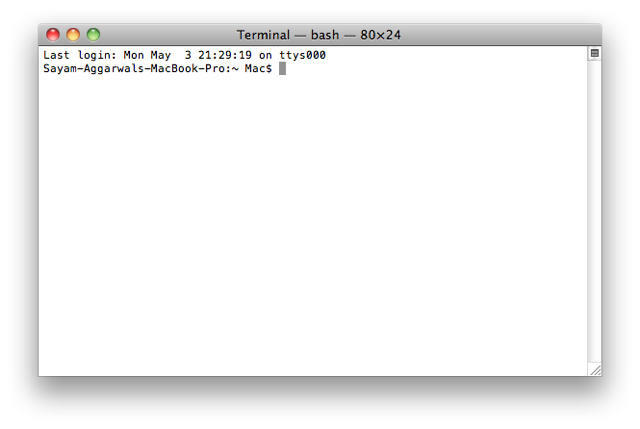 If you’re going to jailbreak your iPhone or iPad, before you get started, we highly recommend you backup your device’s SHSH blobs. With the release of iPhone 3GS and iPod Touch G3, Apple added an extra layer of security to prevent hacking, jailbreaking and unlocking. 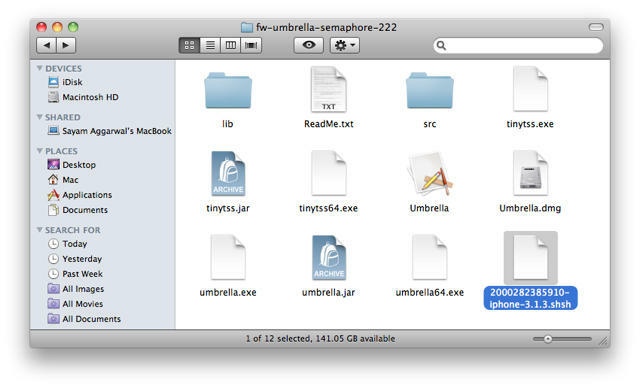 Apple is constantly closing the exploits used by jailbreak hackers by updating the firmware of its iPhone/iPt and iPad. If you accidentally upgrade your jailbroken device to Apple’s latest firmware, you can’t re-jailbreak it until hackers release new jailbreak software. You can, however, downgrade your device to the previous firmware version which can be jailbroken — if you have your SHSH blobs on file. Keep in mind that these records are firmware specific and each time you update, you should repeat this process to save the records for the particular firmware version. iPhone 3GS / iPod Touch G3 / iPad (no need to do this if you have any older device). Please backup your device in iTunes before following the below procedure. 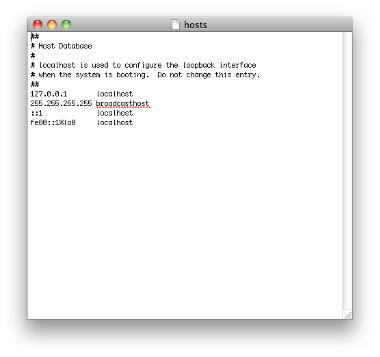 Note also that your SHSH blobs are firmware specific and each time you update, you should repeat this process to save the records for each particular firmware version. 1. 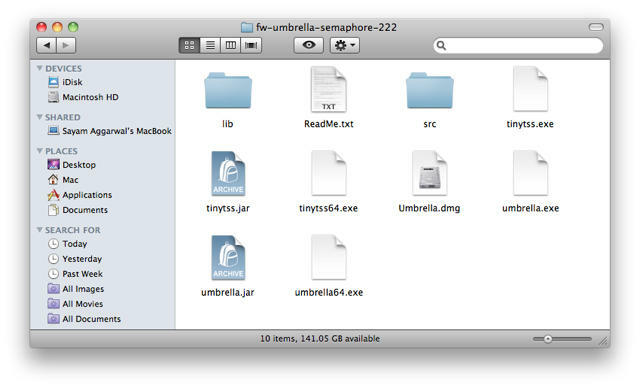 Download Firmware Umbrella and extract the ZIP file. 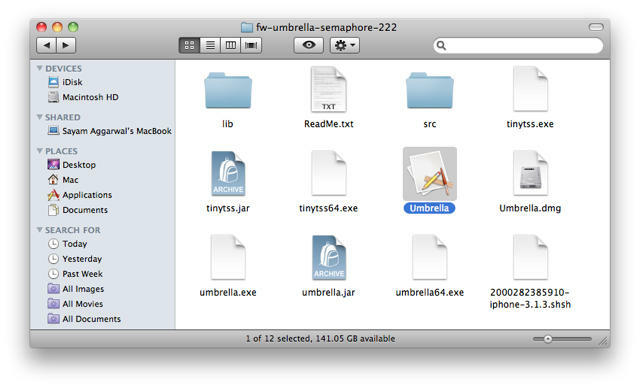 Double-click to open the folder and then extract the ‘Umbrella’ app from the ‘Umbrella.dmg’ file inside. 2. 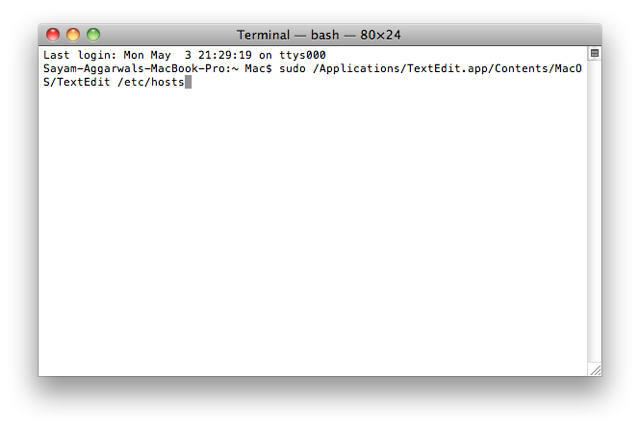 Open Terminal from ‘/Applications/Utilities/’ then enter the following command and press return. 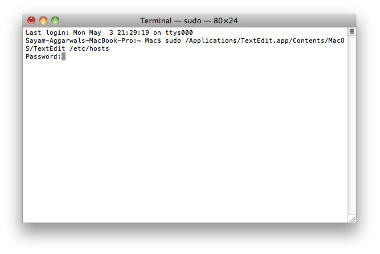 When prompted for password, type your Mac admin password and press return. A text edit window should appear. 3. Look for a line containing ‘gs.apple.com’, erase the line and save and close the file. (NOTE: There’s a chance this line might not be there. 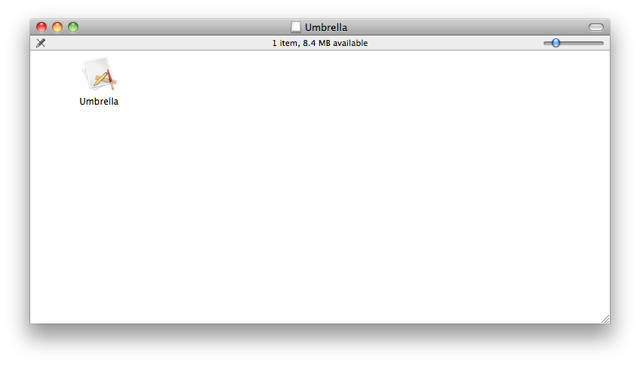 In that case, just close the file). 4. 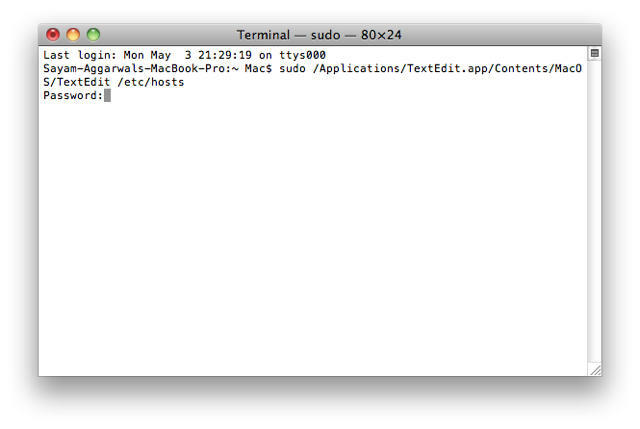 Open Umbrella and put your ECID in (if you don’t already know it, grab the device’s ECID using this guide). Choose your device and firmware version from the ‘Device Version’ dropdown list. 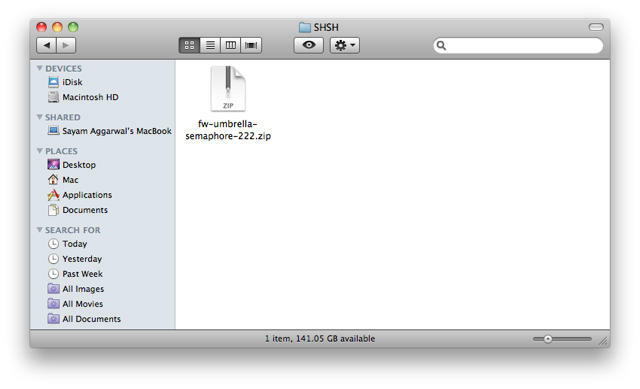 Now, choose an ‘SHSH Repository’ from the dropdown menu. ‘Apple’ checks if the SHSH is stored on their servers and saves a copy locally. 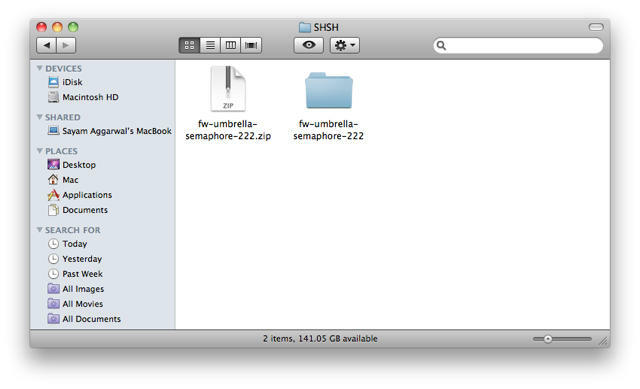 ‘Saurik – Cydia’ checks if the SHSH is stored with Cydia, if not it will be stored there and locally.